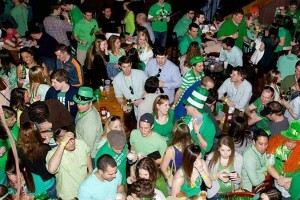 Spurred in part by the arrest of an allegedly drunk and naked Reston woman after a St. Patrick’s Day party last month, the Arlington County Police Department is stepping up police presence at pub crawls. A 26-year-old Reston woman was arrested on March 15 after allegedly showing up naked at the Arlington Magistrate’s Office. She and her husband had reportedly participated in the Shamrock Crawl in Clarendon earlier that day, and her husband had been arrested. The woman arrived at the magistrate’s office around 11 p.m. seeking to visit her husband. She was drunk, completely naked and refused to get dressed or leave in a cab, according to Arlington County Police spokesman Dustin Sternbeck. The woman was charged with indecent exposure and drunk in public. She was held in jail until sober, police said. The incident speaks to the number and popularity of bar crawls in Arlington. At the Arlington County Board’s budget mark-up meeting earlier this week, the County Board approved an addition $42,000 to the police specifically for “pub crawl support.” Pub crawls in Clarendon, Courthouse and Ballston have drawn crowds close to 5,000-6,000 people, County Board Chair Jay Fisette said. Scott told ARLnow.com he’s planning a meeting with the Clarendon-Courthouse Civic Association on April 30. He and the Board discussed the potential for regulatory measures for potentially reining in the crawls, or requesting the restaurants and/or organizers provide the funds for the police support. “There are a lot of legal issues around some of the choices the manager and board will have in terms of how we address these crawls in the future,” Scott said. 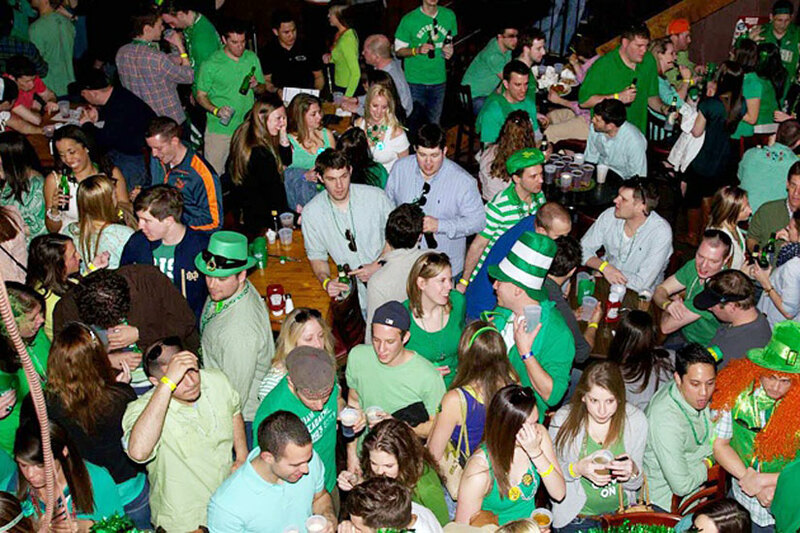 Lines for bars extend far down the sidewalk for many of the bar crawls, which include crawls on St. Patrick’s Day, Halloween and other holidays. One bar crawl in late June last year led to 13 alcohol-related arrests, ARLnow.com reports. Ethan Rothstein contributed to this story.